Indian History shows that all our gurukuls were located at the outside of the cities. Modern science has also revealed that a pollution free and calm environment boosts the process of learning. With this in view, the location of BIT has been chosen to provide a healthy learning environment to the students. The Institute also enjoys its close proximity to Ghaziabad,Noida and Delhi which facilitates frequent industrial visits for the students. 1 Indian Army 10.08.2009 62 8 (short listed) 5.50 Lacs P.A. 2 Indian Air Force 27.08.2009 216 9 (short listed) 4.70 Lacs P.A. 3 Indian Navy 06.10.2009 59 20 (short listed) 4.70 Lacs P.A. 4 Omega Maritime Mgm. Ser.Ltd. 06.11.2009 58 6 1.50 Lacs P.M.
5 Infosys Ltd. 19.01.2010 116 28 3.25 Lacs P.A. 6 TCS Ltd. 27 & 28.01.2010 124 18 3.15 Lacs P.A. 7 Wipro BPO 12.02.2010 59 3 1.81 Lacs P.A. 10 Nagarro Systems CV shortlisting in process 78 20 (short listed) 1.8 Lacs P.A. 11 Morgard Shammer CV shortlisting in process 120 60 (short listed) 3.0 Lacs P.A. Campus: .Indian History shows that all our gurukuls were located at the outside of the cities. Modern science has also revealed that a pollution free and calm environment boosts the process of learning. With this in view, the location of BIT has been chosen to provide a healthy learning environment to the students. The Institute also enjoys its close proximity to Ghaziabad,Noida and Delhi which facilitates frequent industrial visits for the students. …..A leading Professional Institute in Meerut region, BIT takes pride in its motto “Excellence in Education”. In recognition of the high standards achieved by the Institute, BIT is accredited by NBA-AICTE for 4 branches of Engineering with which it started in the year 2001. In a short span of 6 years, we have been nominated as the center of UPSEE and CPMT examination as well as UPSEE counselling. It is a premier Institution devoted to nurturing the cause of professionalism in the technical and management fields through exchange of knowledge and experience of expert teaching and management fraternity. Central library: The library is committed to offer rapid response with greater flexibility to meet the needs of a growing student and faculty community. The library ensures that students have not only their relevant course books, journals and reference books but also have reading material that increases knowledge for an over-all development of their personality. The library has a collection of over 68078 books and 162 international and reputed Indian Journals. The library also prides itself with a rich collection of all prominent magazines in the area of business as well as general awareness. The institute has excellent E-library facilities providing 30 terminals with on-line journals. The Institute also has a DELNET, which provides ready access to libraries of leading institutions from National Capital Region. The institute is also the member of AICTE – INDEST consortium. 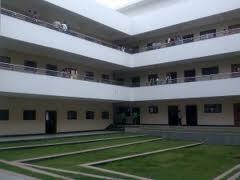 Hostel: At BIT, boarding facilities are available for boy and girl students separately. Each of these hostels offers a unique experience in community living. The hostels are well-equipped with 24 hours electricity, water supply, necessary furniture, telephone, water coolers, refrigerators, recreational facilities like TV and indoor games such as table tennis, gymnasium, chess, carrom board, etc. Wi-Fi Internet connectivity in hostel rooms is also available.